We’re frequently asked questions about student tenancy deposits; what they’re for, what we do with them and when will they be returned? In an effort to show transparency and to help answer some of your questions we’ve put together a handy guide to tenancy deposits. Why do I have to pay a deposit? What is it for? A deposit is required in the majority of letting arrangements for a number of reasons. At the very beginning of a tenancy it secures your hold on the property, ensuring it cannot be let to anyone else. At Mistoria Estate Agents, and many other letting agents, the majority of our properties are let out on a room-by-room basis. We therefore ask for a deposit from everyone letting a room in the house. 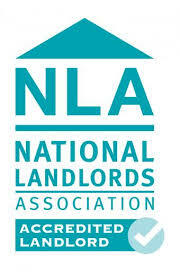 This system protects all the other tenants in the house, as well as us, the letting agents, and the landlord. Imagine if someone you shared with suddenly upped and left! When the next set of utility bills arrive and they aren’t around to pay them, you and the rest of the tenants in the house would be lumbered with covering their share of the costs. Alternatively, the letting agent or landlord would have to stump the cost of the vanishing tenant. Neither scenario is fair and that’s why deposits are taken off each tenant. The Deposit Protection Service (DPS) protects deposits for tenancies in England and Wales. It is required by law that all landlords and letting agents put all tenant deposits into a deposit protection scheme. Tenancy Deposit Protection was introduced in April 2007 as part of the Housing Act 2004 in England and Wales, as a way to raise standards in the lettings industry and ensure tenants are treated fairly at the end of the tenancy. Mistoria Estate Agents adhere to this process and we put ALL tenancy deposits into a protection scheme for the length of the tenancy. NO DEPOSITS ARE HELD BY MISTORIA ESTATE AGENTS. In the vast majority of cases, deposits are returned in full at the end of a tenancy. The only time this doesn’t happen is when there are outstanding utility bills to pay or there is damage to the property that is the fault of the tenants. When you leave your Mistoria property, our team will go in and check the condition of the property. If any unreported damage is found, the cost of repair for this may be taken out of your deposit. If the damage is in a communal area, deductions will be taken equally from all tenants’ deposits. If it is a bedroom, the cost will be taken from that tenant’s deposit. No money will be taken without informing the affected tenant(s) first and you will have the right to appeal this decision. Regardless of the date you choose to move out of your Mistoria property, the final utility bill payment will be divided equally amongst all tenants. At the end of a tenancy we request final statements from the electricity and gas suppliers. It typically takes six weeks for these bills to arrive, we then need time to check them. Mistoria Estate Agents manage over 300 student properties, and with an average of four tenants per house that’s approximately 1,200 tenant deposits to work through. We ask that you are patient and allow us a reasonable amount of time to process deductions and return your deposit. Our tenancy agreement states deposits will be returned within 10 working days of agreement. This means 10 working days after we have contacted you informing you of your share of the final utility bill payments, NOT 10 working days from the end of your tenancy. At this time we contact the Deposit Protection Service and request your deposit is returned to us. Once the funds are transferred to us we will debit the amount due for your share of the utility bill and return the remaining amount to you. We hope the above has helped answer some of your questions. Please refer to your tenancy agreement in the first instance if you have any questions and for full details of the deposit/utility bill payment process. You can contact the office on 0800 500 3015 if you have any other specific questions about your deposit that haven’t be answered here or in your tenancy agreement. Full details of the Deposit Protection Service can be found on their website: www.depositprotection.com/tenant-info. Here you can read about our (Mistoria Estate Agents) obligations as a letting agent and what happens to your deposit. There’s also information about Deposit Disputes and what can be done when you and your landlord or letting agent disagree about the amount of money they wish to deduct from your deposit.